A UMNS file photo courtesy of Claremont School of Theology. Claremont School of Theology, which has had Methodist ties since its founding in 1885, is ending a relationship with Claremont Lincoln University after that university decided to move away from its interreligious roots to become a secular-focused institution. United Methodist Claremont School of Theology announced it is ending a relationship with Claremont Lincoln University after that university decided to move away from its interreligious roots to become a secular-focused institution. Claremont Lincoln, established in 2011, is seeking its own accreditation. Until recently, the school of theology’s accreditation served both post-graduate institutions. The joint venture of the institutions began in May 2011. The split ends academic, administrative, and fiduciary connections between the schools. Negotiations are underway to reach a financial settlement, according to a press release from Claremont. A $50 million donation from David Lincoln, a board trustee, established Claremont Lincoln University as a multi-religious school in partnership with Claremont School of Theology, the Academy for Jewish Religion and Bayan Claremont, the Islamic Center of Southern California in Los Angeles. That decision caused a storm of controversy within The United Methodist Church when it was first announced. The university project led to questions whether United Methodist apportionment dollars would fund the training of imams and rabbis. In January 2010, the Ministerial Education Fund allocation to the seminary was embargoed by the University Senate, a 27-member body of higher education professionals who determine which schools meet the criteria for listing as institutions affiliated with The United Methodist Church. After re-evaluation, those funds were reinstated. The Claremont School of Theology is one of the denomination’s 13 official theological schools and that historic connection to the church was cited by the Rev. David Richardson, chair of the school’s board of trustees, as the reason for the split. Richardson said Claremont will continue relationships with the Academy of Jewish Religion, California and Bayan Claremont. 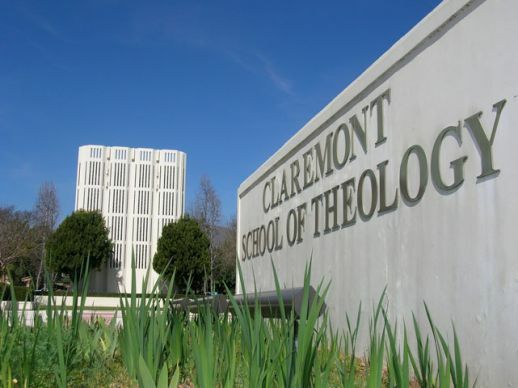 “Claremont School of Theology must be laser-focused on its mission to provide a faith-centered graduate-level education if it is to thrive in a challenging time for seminaries and theological schools. We are committed not just to survival, but also to being a leader in theological education for the 21st Century,” Richardson said.